From assaults to driving offences, we take a look at cases that have been dealt with by North Yorkshire Magistrates' Court in Harrogate. 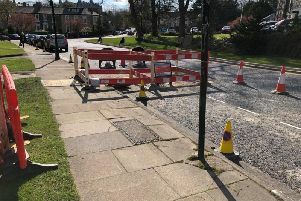 Nordium Designs Ltd of Commercial Street, Harrogate, was fined £800 for failing to give information about the identity of a driver suspected of a traffic offence. Magistrates ordered payment of a victim surcharge of £80 and costs of £620. Nicola Jane Hardy, 52, of Sussex Avenue, Harrogate, was fined £234 for driving on the B6451 and the A59 Skipton Road while under the influence of alcohol. She was ordered to pay a victim surcharge of £30 and costs of £85, and was disqualified from driving for 20 months, to be reduced by 20 weeks on completion of an approved course. Billa Samara, 52, of Newcombe Road, Birmingham, was fined £185 for driving on the A1(M) at Boroughbridge without insurance. He was ordered to pay a victim surcharge of £30 and costs of £85, and was disqualified from driving for six months. No separate penalty was imposed for driving without a licence. Christian Simon, 32, of Dragon Parade, Harrogate, was fined £338 for driving on Kings Road, Harrogate, while under the influence of alcohol. 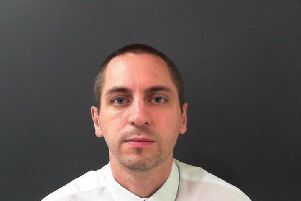 He was ordered to pay a victim surcharge of £33 and costs of £85, and was disqualified from driving for 12 months, to be reduced by 13 weeks on completion of an approved course. Christopher Walker, 18, of Bowland Close, Harrogate, was given a community order for associating with a man in Harrogate when prohibited from doing so by a criminal behaviour order. He was ordered to pay a victim surcharge of £85 and costs of £85, and to carry out 100 hours of unpaid work. Issam Adnan, 37, of St Andrew’s Place, Harrogate, was fined £70 and ordered to pay a victim surcharge of £30 for being the registered owner of a vehicle in Harrogate which did not meet insurance requirements. Stefan Cucerdean, 37, of Hunters Row, Boroughbridge, was fined £80 for being the registered owner of a vehicle in Sheffield which did not meet insurance requirements. He was ordered to pay a victim surcharge of £30 and costs of £50. Daniel Henry Thomas Wright, 19, of Robert Street, Harrogate, was ordered to carry out unpaid work of 40 hours for failing to comply with supervision requirements following his release from prison. Alexandra Jean Davis, 38, of Ripon Road, Harrogate, was given a community order for assaulting a woman by beating her in Harrogate. She was ordered to pay compensation of £150, a victim surcharge of £85 and costs of £200, and magistrates imposed a 12-month restraining order preventing her from contacting the victim and another woman. Sam Brotherston, 29, of Dragon Parade, Harrogate, was fined £369 for failing to give information at the Traffic Bureau, York, about the identity of a driver suspected of a traffic offence. He was ordered to pay a victim surcharge of £36 and costs of £85, and was disqualified from driving for six months. Petru Serban, 31, of Bayswater Place, Leeds, was fined £660 for driving without insurance on the A1(M) at Allerton Park, Knaresborough. He was ordered to pay a victim surcharge of £66 and costs of £85, and six points were added to his licence. No separate penalties were imposed for driving without a licence and without an MOT.